Isn’t that interesting. Anthony Scaramucci had dinner last night at a Trump hotel in Washington, DC. That’s odd in itself after the way he was sacked by Trump yesterday. But even stranger is who ate with him. Former Trump campaign spokeswoman Katrina Pierson and a couple of other administration employees were at that dinner. 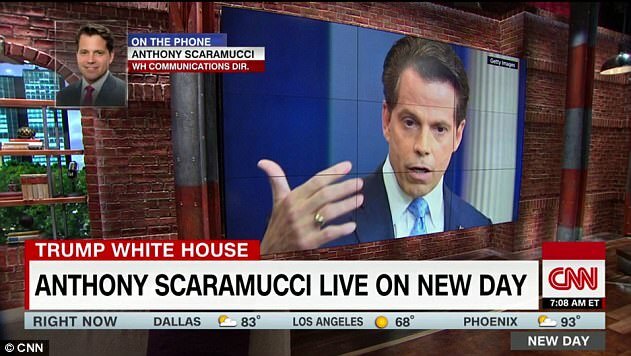 Multiple news outlets this morning are claiming that the Mooch was hired for one reason and that was to get rid of Reince Priebus and stop the leaks. In fact, Pierson said he did his job and stopped the leaks. Except… he didn’t. The White House is still leaking like a sieve. 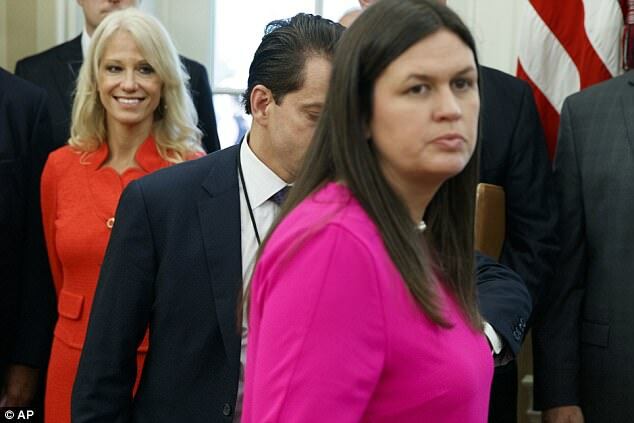 If that is true and I am still skeptical, then that means Scaramucci was a political hit man who was brought in to get rid of Priebus and then leave, clearing the way for someone like Kellyanne Conway to take Mooch’s place and then John Kelly to replace Priebus. That’s an intriguing possibility and one I find very disconcerting. Mooch went to that restaurant just hours after he got the ax. It is being reported that new Chief of Staff John Kelly personally requested that Scaramucci be terminated for embarrassing the President. He was escorted off the White House grounds. Was that all for show? 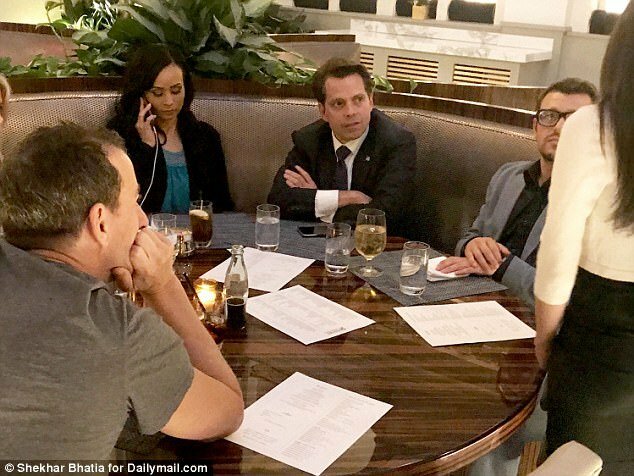 Anthony Scaramucci enjoyed a last supper at Donald Trump’s namesake hotel in Washington DC on Monday after getting axed as the President’s chief spokesman just 10 days after he was hired. He dined at the Trump Hotel’s BLT Prime with former Trump campaign spokeswoman Katrina Pierson and a couple of administration employees. 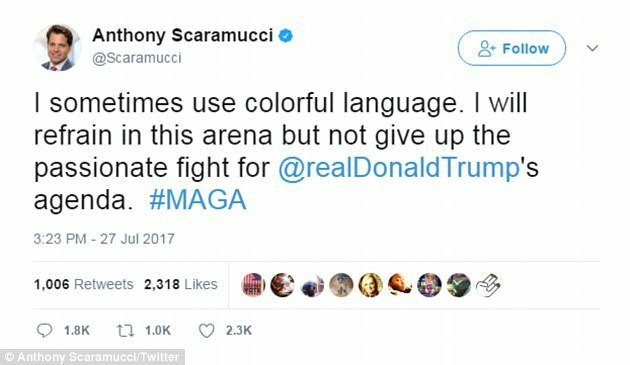 Scaramucci spent most of the dinner on his cell phone and barely touched his food – after just over a week as the White House communications director during which his most notable moment was a foul-mouthed rant about Reince Priebus and Steve Bannon. 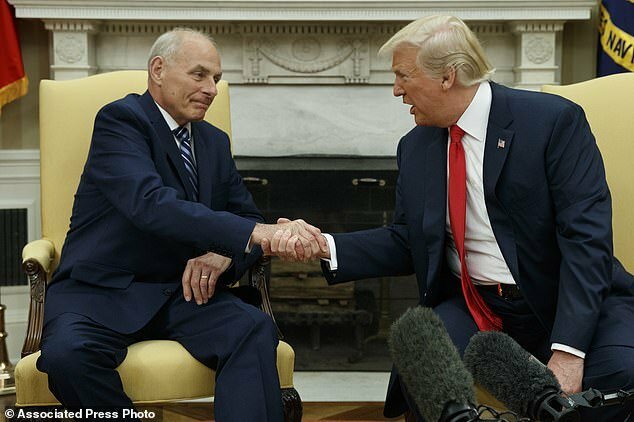 The former White House supremo was let go on the first day of Gen. John Kelly’s tenure as White House Chief of Staff and after revelations about his wife filing for divorce while pregnant emerged at the weekend. And after wrapping up the business day on Monday, President Trump tweeted ‘A great day at the White House’. At the Trump Hotel, Scaramucci chose a discreet table at the corner of the BLT restaurant under a tree, one of four planted in huge boxes in the restaurant. He declined to be interviewed and left quietly through a side exit. It was the first time he had been seen in public all day since he was sacked. You can’t put your trust in the Old Gray Lady anymore, but the New York Times is claiming that President Trump’s daughter, Ivanka Trump, and her husband, Jared Kushner, encouraged the President to hire Scaramucci as a ploy to force Priebus out of his position as Chief of Staff. I find that hard to believe, but I find a lot of things happening these days hard to swallow. I really have no idea if any of that is true, but it is interesting. Additionally, Axios claims that “Jared and Ivanka were instrumental in bringing in Scaramucci, primarily to take out Reince Priebus. That was his chief (some might say only) duty,” Axios said. 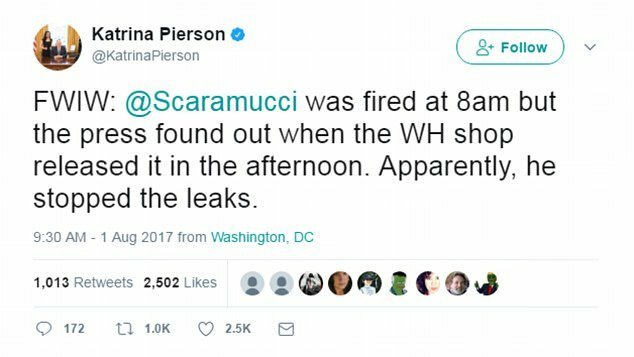 White House press secretary Sarah Huckabee Sanders claimed that “Scaramucci felt it was best to give chief of staff John Kelly a clean slate and the ability to build his own team.” Pierson tweeted this: “FWIW: @Scaramucci was fired at 8am but the press found out when the WH shop released it in the afternoon. 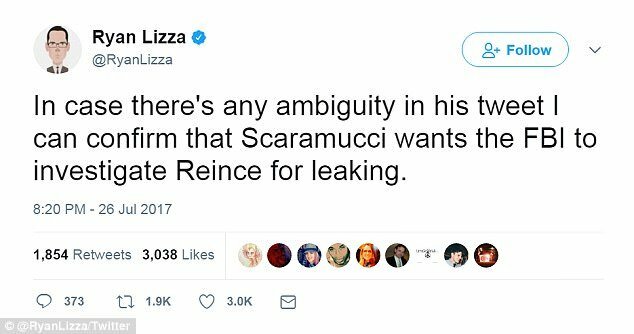 Apparently, he stopped the leaks.” Mooch was in and out of the restaurant rather quickly, just like his tenure in the White House. He was mostly on his phone and did not touch his food much. It’s almost as if it was a photo-op. Curioser and curioser.